Few teenage girls would list running, climbing and jumping in the mud as their idea of fun, but it's precisely that - and more - for one local fourteen year old, who is taking the obstacle course racing (OCR) world by storm. This year, with sponsorship support from Howards Chartered Certified Accountants of Stafford, Evie Waring is set to climb up the rankings when she competes in world and European championships as well as the UK's top events. A test of mental and physical strength, OCR events are typically held over a 13-mile course containing at least 25 obstacles and points are awarded based on the competitor's time. Evie's overall points total saw her placed joint 18th out of 7,400 female competitors under 20 years of age in last year's Spartan World Open Series. Evie has been involved in OCR since the age of five, spectating at events in which her mother, Emma, was competing, and was old enough to take up the sport herself three years ago. 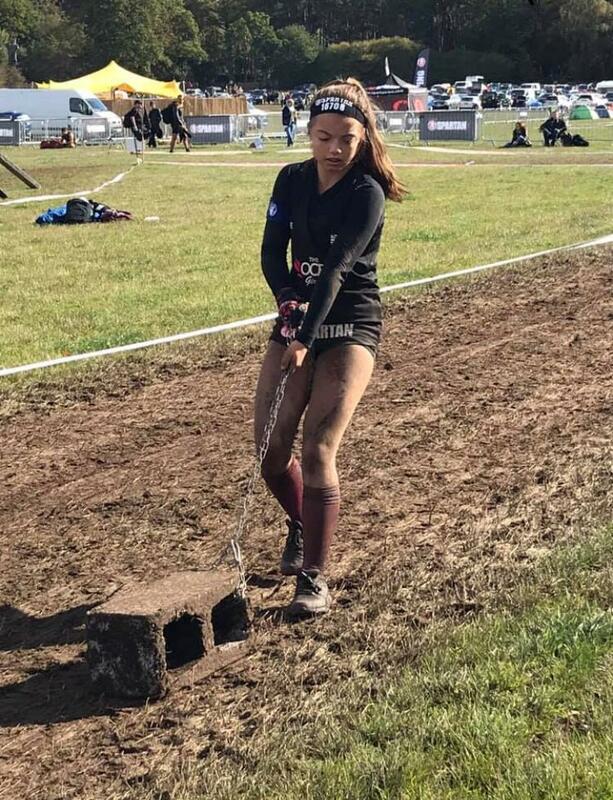 "I especially enjoy the technical aspect of OCR, the rigs and obstacles, but it's also a very inclusive community and everyone is treated the same whatever their age or ability", says Evie, who is currently choosing her GCSE options and plans to make her career in sport or the health industry. "I've worked hard to qualify for the most challenging events in my sport and can't wait to go up against the world's very best OCR athletes again this summer and improve my ranking." Howards has pledged £1,000 to help fund Evie's training and coaching costs, race entry fees, insurance and travel. Matt Bailey, managing director at Howards, says: "Evie has been extraordinarily successful in a very short time, helping to inspire numerous teenage girls to take up obstacle course racing, which is a great result all round. "Competing in the upper echelons of sport at any age poses a financial challenge, so we're delighted to provide sponsorship support that will enable Evie to focus on improving her results in the world's fastest growing mass participation sport." Winner of the Spartan Open Series for the UK and Ireland and second in her age group in the Spartan World Championship Open in 2018, Evie is also a member of the OCR Girls, the only female elite junior OCR team in the UK. Building on their potential as individuals, she and team mates Jess Cope and Amelia Cocksedge, have become a formidable trio at the elite level in their age group. Caption: Champion obstacle racer Evie Waring, 14, will be competing in world's top events this summer thanks to sponsorship support from Howards Chartered Certified Accountants. Howards was founded in 2005 following the merger of Barrington's and Wood & Co, two well-established and successful Stafford firms of accountants. The combined experience and areas of individual expertise that the company now enjoys has been passed on to its clients, who all benefit from Howards' deeper knowledge base and wider range of professional services. As well as Managing Director Matt Bailey, the senior team at Howards consists of commercial and taxation specialist Ryan Hudson, audit expert Rebecca Nott - who has been with the firm for over 13 years - and Nick Archer, who specialises in client services and business development.